Home » News » Hemp Based CBD: What’s the Deal? Hemp Based CBD: What’s the Deal? The cannabis industry in the United States continues to evolve with the passing of novel legislation on a regional basis. As such, it’s nearly impossible to know the complete legal status of marijuana in the country at any given time. Now, add to this complexity the fact that hemp based CBD has its own regulations within both federal and state guidelines. 2018 has been a monumental year for the hemp market in the US. To this end, many hope that 2018 Farm Bill will finally clarify the legal maelstrom that hemp based CBD has come to represent. Because, to date, the US hemp industry has been anything but functional. ted than that of cannabis. Drastically different interpretations of the law exist between hemp businesses, retail establishments, county officials, state governments, and federal policy makers. Businesses market and sell their hemp-based CBD products throughout the US. They claim these products are legal nationwide and that they can be shipped to states that don’t have legalized cannabis programs. Although, this claim to legality isn’t necessarily true. The US hemp-based CBD product market finds its roots in a legal loophole taken from the 2014 US Department of Agriculture (USDA) Farm Bill. 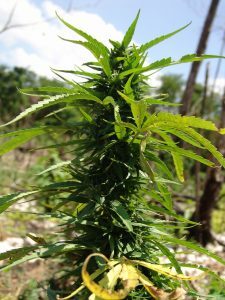 In this bill, the Food and Drug Administration (FDA) and DEA advised the USDA on a pilot program aimed at cultivating hemp for research purposes. Essentially, the industrial hemp section of the Farm Bill allows for “an institution of higher education or state department of agriculture” to legally cultivate and research hemp in non-profit, scholarly scenarios. So, the 2014 Farm Bill does isolate hemp cultivators and processors from federal prosecution. However, it only offers these protections in specific research and development scenarios. Moreover, by no means does the Farm Bill grant businesses the ability to sell hemp-based CBD products across the U.S. Throughout 2018, the State of Indiana came to personify the confusing nature of hemp-based CBD legality reflective of Farm Bill misinterpretation. In March 2018, Governor Eric Holcomb signed a law which states, “all CBD products are legal as long as they come from hemp and contain low amounts of THC” and that all CBD products must have a QR code on their labels that is linked to production information. In other words, the traditionally conservative state where no legal marijuana or hemp initiatives even exist looked past federal regulation in the Farm Bill and beyond to allow the sale of hemp-based CBD. Yet, with this seemingly “progressive” legislation, new laws led to stricter regulations and the removal of hemp based CBD products from store shelves. Moving forward, the changing law even left the Indiana State District Attorney Curtis Hill and Governor Holcomb at odds concerning the legal status of hemp-based CBD products. Hemp’s material applications doubtlessly make it one of the world’s most versatile plants. Nonetheless, few people know that certain varietals produce CBD. The Drug Enforcement Administration (DEA) identifies industrial hemp as “the plant Cannabis sativa L. and any part or derivative of such plant, including seeds of such plant, whether growing or not, that is used exclusively for industrial purposes (fiber and seed) with a tetrahydrocannabinols (THC) concentration of not more than 0.3 per cent on a dry weight basis.” Point being, hemp plants don’t produce enough THC to be considered psychoactive. However, they can produce ample CBD to be utilized medicinally. Therefore, federal and state legislation has attempted to draw a strict line between the legal status of cannabis and hemp. Yet, the presence of CBD in hemp makes a clear distinction between the two plant species next to impossible. 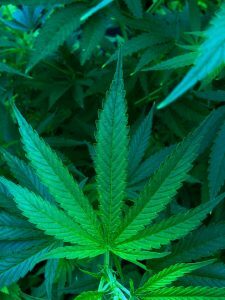 Is Hemp Based CBD Legal? The sale of hemp based CBD products is still illegal according to federal law. Those American-based companies who claim they can sell their products nationwide are misleading their customers. In an interview with Forbes Magazine in late 2017, DEA son Rusty Payne stated, in reference to CBD, “It’s not legal. It’s just not.” This quote still rings true in late 2018. However, Payne continued, this time referring to parents treating sick children with CBD, “I cannot blame these people for what they’re doing … Are they breaking the law? Yes, they are. Are we going to break (a parent’s) door down? Absolutely not.” It’s reassuring that the federal government isn’t out to prosecute families who treat their sick children with hemp based CBD. However, the back and forth concerning the substance’s legal standing adds to the overall confusion of the situation. Perhaps hearing the DEA’s lenient standings on the matter, the FDA finally moved on CBD in late June 2018 by approving the drug Epidiolex. This represents the first-ever non-synthesized cannabis drug approved for on a national scale for use in the United States. Obviously, the approval of Epidiolex starkly contradicts the Schedule 1 Drug standing of cannabis. It does this by sanctifying the use of a plant-based compound in CBD. Many hope this movement is a harbinger of things to come concerning hemp based CBD legalization efforts. The 2018 Farm Bill and the Future of Hemp in the U.S.
As 2018 comes to a close, the national hemp industry has its eyes turned the 2018 Farm Bill. In this unprecedented legislation, know as the “Hemp Farming Act of 2018,” proponents are pushing to federally legalize the entire hemp industry. This legislation includes hemp-based CBD products. With democrats now controlling congress after the November midterm elections, many feel the 2018 Farm Bill could see some serious traction. Yet, as anything else in this industry, nothing is certain. The hemp based CBD market presents perhaps the strongest case for federal cannabis legalization to date. Conclusively, in an ever-changing landscape of regulation and legalization, it is almost impossible to understand the legal status of a product like hemp based CBD. Unfortunately, medical patients are the ones who have the real cause for concern. This concern has primarily to do with consistent access to dependable hemp based CBD medicines. Moving forward, be sure that your hemp based CBD comes from a licensed producer. Ideally, this practice will safeguard against impure product. In the meantime, many hopes rest in such legislation as the 2018 Farm Bill. This article originally appeared in the January 2019 edition of Maximum Yield i News.